Don’t lose it when you can’t find your phone. 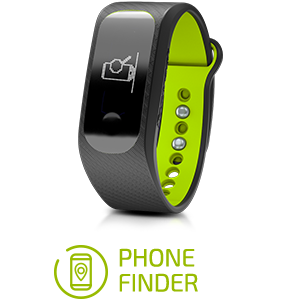 The phone finder feature uses GPS tracking so you never lose your phone again, all with a simple tap. Keep with the gang. 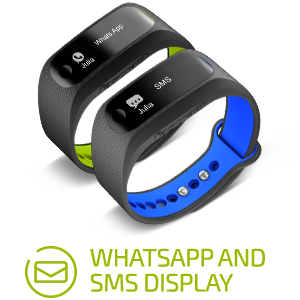 Now read and keep Whatsapp messages and SMSs at the back of your hand. 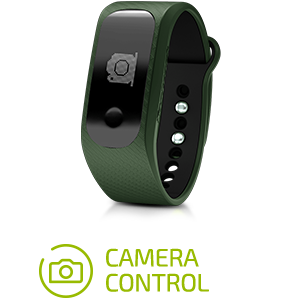 The fastrack reflex 2.0 tracks the number of steps you have taken, the total distance you have travelled and the number of calories that you have burned. This helps you keep a track of all the action you’re getting! Give those selfies an upgrade. Take remote control of your phone and start taking them in style. Track the distance covered, steps taken, and calories burnt, so you know the amount of action you’re getting. Keep a track of your ZZZZs in the bed and off it with the Reflex 2.0’s sleep tracker feature. Connect the Fastrack Reflex 2.0 to your phone through the app, and never miss a call from Bae or your squad ever again! Need a good shake to wake up? The vibrating alarm will ease you into your day better than Bae. The Reflex 2.0 conforms to the IPX6 Water Resistance norm, which means you can play around with a few splashes of water but make sure it doesn’t get too wet. With upto 10 days of battery life, the Reflex 2.0 helps you keep moving on.